The rotator cuff is composed of 4 very important muscles. Together they surround your shoulder and help you move the arm. Rotator cuff injuries can cause pain, loss of motion and weakness. Tears of the rotator cuff are very common. That’s because many rotator cuff tears are due to degeneration — like an old pair of blue jeans. The older you are, the more common rotator cuff injuries are. Why is that? What is the cause of rotator cuff tears? In this post we have 5 Orthopedic Surgeons who are considered experts in their field. We will focus on the cause of rotator cuff tears. Our other expert posts cover the treatment of rotator cuff tears. Most people with shoulder pain who are found to have a rotator cuff tear on an MRI do not recall a single, isolated traumatic event. They may have felt a pop when moving their shoulder, but they didn’t fall or get into an accident. When we find a tear in this scenario the cause of the rotator cuff tear is usually “degenerative tendinosis”. Tendinosis is a condition when your rotator cuff tissue simply wore out. Like you favorite pair of blue jeans … or that sock you just poked your toe through. Trauma is another cause of rotator cuff tears, but traumatic tears are far less common then degenerative tears. We are starting to identify techniques to possibly cure tendinosis which could hopefully decrease the risk of having a rotator cuff tear. Does it matter what the cause of your rotator cuff tear is? Determining the cause of your rotator cuff tear is very important, because that will influence what treatment is most appropriate for you. 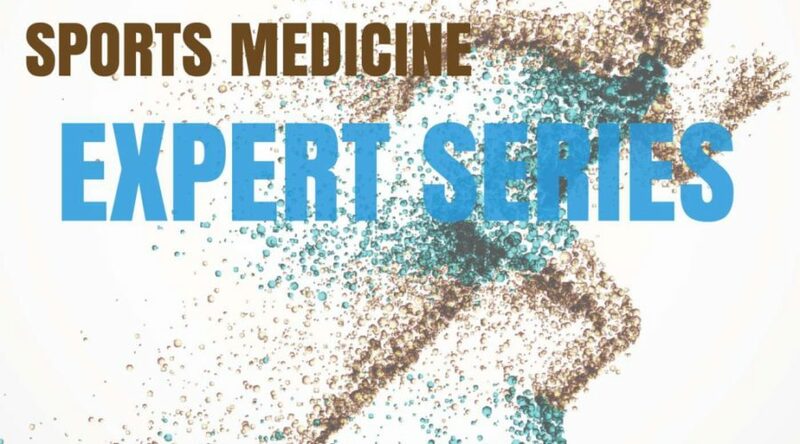 Today we continue with our Expert Series where 4 Orthopedic Surgery experts in the area of shoulder surgery will start off answering a number of questions about the rotator cuff. Our first post by our experts will focus on the cause of rotator cuff tears, and rotator cuff “disease” or tendinosis. The rotator cuff is a group of four muscles and tendons that closely surround the shoulder joint. Rotator cuff tears are very common. 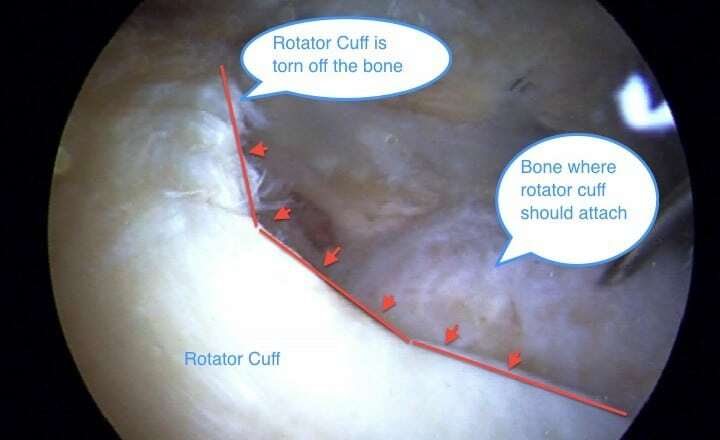 Most rotator cuff tears are caused by gradual wear of the tendon material as we age. The area has poor blood supply and is subject to a lot of load and surface wear. Anything that affects the blood supply and tissue quality, like smoking, can make tears more likely. Sudden trauma and strain can speed up this process, and cause sudden complete tears. It’s like wearing a hole in your jeans. Over time the material gradually thins and wears, creating a hole. Sudden strain on the fabric can make it tear more rapidly. What are the leading causes of rotator cuff /disease/tears? As with many musculoskeletal problems, rotator cuff disease can either stem from 1 major injury or as a slow, degenerative process. The acute injuries that can lead to rotator cuff tears include rapid twisting motions of the shoulder (such as in a fight) or shoulder dislocations in patients over age 40. Trying to lift up a heavy object, such as a full briefcase, with the arm completely extended out in front of them, can also cause rotator cuff tears. Other tears are slow and degenerative in their development. These patients do not remember any marked injury to their shoulder, just that it gradually started hurting and became weak. The two leading causes of RC issues are attrition (wear and tear over time) and acute injuries. Attritional issues are more common. These occur as a result of accumulative damage over time (every day use, mild injuries) that is greater than the bodies healing potential. This type of “injury” results in the rotator cuff getting progressively more damaged with time. As a result, these issues are more common in older patients since there is an increased amount of time for damage to accumulate and the healing potential of the tissue is reduced. Acute traumatic tears are less common but usually more symptomatic. These result from an abrupt failure of the tendon, typically at its insertion onto the upper arm, but also occasionally within the tendon substance as well. Rotator cuff issues are very common ailments. The causes (in general) relate to the patient’s age and activity level. In younger patients under the age of 30, the cause can be a violent, traumatic force to the arm/shoulder, tearing the rotator cuff tendons away from the bone. In overhead athletes, such as baseball pitchers or tennis players, the cause may be internal impingement, where the cartilage of the joint rubs abnormally on the rotator cuff. In older individuals, the onset is usually more insidious. While a complete rotator cuff tear may occur, the trauma is usually more mild (such as picking up a heavy suitcase). This is because the tendon is already undergoing degeneration, and typically the patient has some pre-existing (though mild) rotator cuff symptoms. You can see that a consensus opinion exists. The most common cause of rotator cuff tears is degeneration of your rotator cuff tissue. It’s an unfortunate consequence of genetics, aging and our cumulative activities. Trauma can also cause the rotator cuff to tear. As we will explore in future posts, the cause of your tear will matter when we discuss treatment strategies with you. Dr. Luks…I have 2cm full thickness rotator cuff tear (per 12/14 MRI). “Full thickness tear of the supraspinatus, partially involving avulsion of the osseous insertion, and further posterior, occurring through the critical zone with several millimeter of tendon remaining attached at the insertion. The tear is 2cm in front to back dimension, with retraction to the lateral apex of the humeral head. The infraspinatus is intact, as is the subscapularis. I suffered an injury in early November with an exercise trainer. I scheduled surgery for end of this month – but I am now considering other therapies such as homeopathy and Chinese herbal plaster packs. However, after reviewing your website and watching your video – I am thinking that surgery may be the safest and best option for long term benefits and maximum use of my right arm and shoulder. I am 63 years old. Do you know of any cases where alternative therapies have allowed for healing of a full thickness tear – rather than surgery? Thank you for your perspective, and your website is very helpful. Nina Meyer, Santa Barbara, CA. Unfortuantely, homeopathic remedies will not heal your rotator cuff. As you read, the treatment of traumatic rotator cuff tears is usually a surgical issue. In cases of a degenerative tear, certain remedies may decrease the pain, but they will not result in tendon healing. Hi doc please refer to above email re full thickness perforation of supraspinatus 15 X 13mm, my orthopod said recommended open surgery for a better repair, I also have calcium deposit in the tedon. I am 57 a rehab nurse and depend on my arm in my job. My doc says mine is due to degeneration and the activity I did (trying to start the lawn mower) probably took its toll. Do you recommend surgery especially an open one? Appreciate a reply, thanks. I can not provide personal treatment recommendations in this format. As you have read in many posts, treating small degenerative tears with surgery is not always the best option. Also, if you read about calcific tendonitis you will find out that it can frequently be a source of significant pain. Some surgeons still prefer open surgery to arthroscopy surgery… but that is their preference. There is no proof that it is better. I would consider another opinion, and a long discussion about your options available. Hi Dr. Luks, Thanks for the reply, are you saying that full thickness perforation of supraspinatus even though small does not require surgery, should I seek a second opinion? Thanks so much for your time. ni my left hand i cannot sleep or use my left side or sleep on it. I suggest you come in and let us examine you. It certainly sounds like an issue with your rotator cuff. you are correct, an examination is needed to tell you if it is just sore, or if you have a tear. Hi Doc. I’m age 64 ½; a large, (formerly)active male. MRI: 9/24/2015 Full-thickness, Fullwidt tear of suprapinatus tendon, 1 cm medial to the footprint; resulting in 1.8 medial retraction; minimal supraspinatus atrophy labral tear involving posterior & posteroinferior labrum, evidenced by prom. Paralabral cysts (2.0 X 1.0 X 0.6m), and some osteoarthritis. Cause: 8/1/2015 ATV crash. Symptoms: Hurts /aches all the time. Pain subsides when I don’t do anything. I can’t wear suspenders. I favor that arm all the time. Sleep is possible with lots of prep/pillows. My R.O.M. is 96%. I disqualified on 1st [Left]Shoulder arthroscopy surgery date due to really bad cold. 2nd is scheduled 2/8/2016. I’m walking w/light swimming every day. WHAT ARE MY SURGERY RISKS? I understand I may have degenerative, rotten tendons: I could go through surgery risks, & 8 weeks of considerable pain and 6 more months of recovery with no net gain. Same pain and a repeat-rip. True? ALSO, AM I CORRECT ABOUT THESE RISKS: 1-Anesthesia complications/reactions- I have controlled-asthma, lungs in good condition and no history of reaction to anesthesia. My heart is strong. 2- staph and strep Infection: Anti-infection steps including pre-washes. Restrict access to surgery. Supply of clean bedding. 3- Nerve Injury: I understand my surgery will not be on (the inferior capsule or labrum) My surgeon is highly thought of. 4. Frozen Shoulder : Because of my injury/age; is this much of a risk? 5-Chondrolysis I understand this is a very rare complication. 6. Head/Neck Injury=no concern See #3. Anesthesia, nerve and vessel injury, infection, stiffness, failure of the repair, loosening of the hardware, failure to alleviate your pain, and on and on. Many/most are low probability risks… but risks just the same. I had surgery for a full thickness tear on my supraspinatus tendon and partial tear on the subscapularis yesterday. I’m a 44yr old female and wanting more info on recovery time. I know physical therapy is in the future for me, but is there any muscle supplements, or nutrition that would help the shoulder muscles? Thanks for any info. None that we really know of … a healthy diet is all we currently recommend. Hi, Dr. Luks, I am a 55 yo female. I am about to have my 4th shoulder surgery since I turned 35. Both shoulders needed impingement release with clavicle resection. The left rotator cuff, labrum, and bicep tendon were repaired two years ago. Now, the right rotator cuff is partially torn. My surgeon will also clear debris and check labrum and bicep again. several years ago, a rheumatologist diagnosed me with “connective tissue disorder and possible lupus.” Since then, two other rheumatologists have disagreed with that diagnosis. Since I have a family history of autoimmune disease, which includes a grandfather who died of complications from lupus, is it possible these shoulder joint issues are related to autoimmune issues? Should I be getting yet another opinion on the CTD or Lupis issue? It just seems that 4 shoulder surgeries in 20 years is a bit much, even for traditional “wear and tear” issues. Lupus or any other CTD could affect the integrity of your tendon tissue… BUT ! partial tears or fraying is still very common in many people over 50. Partial tears/labral tears are not a reason to consider surgery at our age, unless our pain doesn’t improve with time, injections, PT, oral anti-inflammatories, etc. I’ve been told I gave a torn rotator cuff, the problem is I just had surgery 2 years ago for this same problem on the same shoulder. How often does this happen that there’s a repeat of the same problem in the same shoulder. Most cuff tears occur due to degeneration. Therefore it is not unusual to have a recurrent tear. The results of revision repairs are not nearly as good as the results of primary or your first repair. Some thing to discus with your surgeon. hi Doc I dislocated my shoulder 4 weeks ago had it in sling for 3 weeks. I can’t lift my arm only few inches I had a mri scan and waiting for result.Do I just need physiotherapy to cute this,or will I need operation, it’s my first ever dislocation and I’m 40 yes old. Depending on the results of your MRI your doctor will be able to tell you how successful PT will be at restoring your motion and strength. Shoulder surgery these days usually involves a nerve block to the arm and sedation. Very very few centers use general anesthesia. I have a supraspinitus tear in my right arm. I was washing the ceiling in the bathroom standing on a chair slipped twisted and hit my shoulder against the wall with a heavy thud. My provider does not want to fund the operation as they say it can be degenerative. I am 66 years.. I am healthy and have no history of shoulder pain.MIR scan shows a full thickness supraspinatus tear that is retracted. It also shows partial tear in long head of biceps. Can I prove7 that this is not age related or not. That is very hard to do Veronica… best to ask the Radiologist who read the MRI. They may be able to tell you if there is evidence of acute injury or chronic degeneration. I have been experiencing high degree of pain in my right shoulder joint. Based on MRI I am told I have a rotator cuff tear in my right shoulder and the tear is small.I got a cortisone injection. I will be going through physical therapy. I want to know if I should avoid physical work such as gardening and weight lifting. What type of activity I should be avoiding? There is no proof that lack of activity prevents tears from becoming larger. Last year I had an operation on the left side of my neck for cancer. Most of my left chest was used to rebuild my left neck. Shortly after my operation, I developed a pain in my left arm/shoulder. I have since be diagnosed with rotator cuff tear. Is it possible that the dissection on my left chest to rebuild my neck may have caused my rotator cuff tear? Nope not very likely…. more likely is a winging scapula. Were you examined with your shirt off? Did your doc see how well your scapula is moving? THat can be an issue after certain surgeries around the neck and trapezius. Thanks for the reply Doctor Luks. I have only had an x-ray and an ultrasound to confirm a rotator cuff tear. No talk of a winging scapula. I shall discuss this with my family physician during my next appointment. I would see a shoulder specialist. You need a good examination. irregular partial tear at its insertion. associated tears in the latter as described. supraspinatus myotendinous junction and tendon respectively. This is one of the downsides of getting MRI reports before having a chance to review them with the doc who ordered them :-). Second… many changes on MRIs are normal and age related … even small rotator cuff tears, and certainly labral tears. Third… It takes a good doc who can take your history (story about the onset of pain), your physical examination, and the MRI reports to tell you which of the changes might be the source of your pain. 2- You have severe osteoarthritis – loss of cartilage in the shoulder joint.– Probable cause of your pain. Ignore the labral tears… the labrum, a cartilage cushion that often becomes worn away from use, age, and the arthritis. 3- Furthermore, there is arthritis in a joint that sits above the shoulder. We call that the AC joint. Everyone over a certain age has arthritic changes in this joint. Sometimes it is the source of pain, but it is not very common. So… If your shoulder is bothering you a lot you should visit with an Orthopedic Doctor who specializes in shoulders. Hopefully he/she will help you determine which is the source of your pain and offer you a proper treatment plan.